When people are engaged in a divorce, the Court may require the parties to attend mediation. Mediation is a process in which a neutral third party, the mediator, facilitates communication and negotiation between the parties to help them reach a voluntary agreement regarding their disputes. 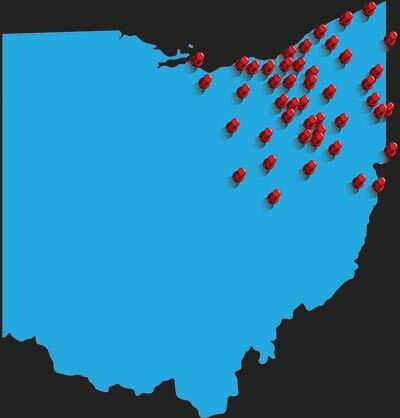 Most counties in Ohio have their own mediation departments with trained mediators who are there to seek a resolution of contested issues without the need for further litigation. The mediator is not a judge and the mediator does not decide the disputes. However, the mediator is there to help the parties determine the terms of their settlement agreement. Most mediators begin the process by requesting each person to set forth what they feel are the disputed issues and their position on the issue. In some Ohio counties, mediation is restricted to parenting issues; however, some counties allow mediation for both financial issues and parenting issues. Mediation provides an atmosphere for each person to share his and her ideas, participate directly in their divorce case and resolve their disputed issues without a judge deciding the issues at trial. If the appointed mediator feels that progress is being made, the mediator may request a second mediation session in order to continue to assist the parties in resolving the contested issues. A successful mediation can result in lower costs as far as attorney fees and other litigation expenses that will need to be incurred if the case has to go to trial. Most counties in Ohio discourage the attorneys to participate in the mediation process. However, if the parties wish to have their attorneys present, the attorneys can attend the mediation meeting. Generally, what is discussed in mediation is not admissible in Court which facilitates a free and open discussion during the mediation process by both parties which hopefully will result in an agreement. If mediation is not successful and an issue needs to be decided, the matter will be referred to the appropriate judge or magistrate for a full evidentiary hearing so the Court can decide. A neutral third party, the mediator, uses a structured process to help parties resolve their differences. Unlike a judge or arbitrator, the mediator does not decide how the dispute should be resolved. Rather, the parties determine the terms of their settlement agreement. The mediator facilitates the mediation process by first asking each party to present his or her view of the issues. Then, the mediator uses guided discussion to help the parties resolve the problems and design their own agreement. There are a number of different mediation models that divorce mediators use, but they all share some common characteristics. The mediator provides an atmosphere for sharing ideas and generally will ask the parties to agree to some basic ground rules during the discussion (e.g., only one person speaks at a time, no name calling or shouting). Each party is given a full opportunity to share his or her perspectives on the situation. The mediator then summarizes the information shared by each party and helps the parties define the issues. The mediator encourages the parties to generate possible options for resolving their dispute and to select a mutually agreeable solution. If the parties resolve some or all issues, a written memorandum of agreement is prepared. One or more mediation sessions may be needed depending on the number and complexity of the issues. Why Should You Attempt To Mediate? Mediation is a process that gives the parties the opportunity to resolve issues for their children and themselves rather than have a judge decide for them. When parties design their own solutions to their own problems, they are more likely to be satisfied with the agreement and to follow it. Successful mediation often reduces the hostility that may go with a court proceeding. Reduction in conflict between parents is beneficial to both parents and their children. Also, a mediated parenting agreement eliminates the need for a trial over issues concerning children, thus avoiding a negative experience that can be emotionally damaging for children. Although there may be a fee for mediation, a successful mediation is generally less expensive than a contested trial. Successful mediation will often reduce attorney fees and court costs. It also may reduce expenses for appraisals, accounting services, expert witnesses and other expenses that are normally part of adversarial court proceedings. All issues in a divorce—including parenting schedules, parenting responsibilities, child support, spousal support, property division and other financial issues—can be resolved through mediation. On occasion, parties who are referred to mediation have had problems with domestic violence in their relationship. Mediators do not mediate the issue of domestic violence itself. If you are a victim of domestic violence, express any concerns you have about safety to your attorney, the hearing officer, or your assigned mediator. Advise the mediator if you feel you will not be able to adequately express your opinions to, or negotiate with, the other party. Mediation is voluntary. You always have the option of withdrawing from mediation if your concerns cannot be addressed. What Role Do Attorneys Play? Attorneys are not replaced by mediation. The mediator will not give legal or financial advice. The mediator will recommend that the parties consult their own attorneys, other professionals, or trusted others about these matters. Attorneys help their clients understand the law and make informed decisions in mediation. Each party’s attorney or support person may attend and participate in mediation sessions if the party wishes. If a party chooses not to have the attorney present at the mediation, then parties are encouraged to consult with their attorneys before and after mediation sessions and to review the mediated agreement with their attorneys before signing. When an agreement is reached in mediation, the attorneys will incorporate the agreement into a separation agreement or divorce decree that is presented to the court. Is a Mediation Session Confidential? Unlike a trial, mediation is conducted in a private setting. Generally, no one who participates in the mediation may reveal mediation communications in any court proceeding unless both the speaker and all parties agree. If, however, the parties want to be sure that no one reveals mediation communications outside of the court setting, they may enter into a confidentiality agreement before the mediation. The mediator will not discuss your case with anyone, including the judge, except to say that you met and whether an agreement was reached. Certain legal exceptions to this privacy protection exist; for example, threats of harm, admissions of crimes, or admissions of abuse during mediation may be disclosed in court proceedings. Mediation does not always result in an agreement, and unresolved issues will be settled by other negotiations or may be decided by a magistrate or judge. Not all divorces have to be a knock-down drag-out fight. Every domestic relations court in Ohio has access to trained mediators who can help resolve many disputed issues before a divorce case goes to trial. This can save people who are going through a divorce both a lot of time and a significant amount of money. Learn more about the mediation process by contacting us for a free consultation with one of our experienced Ohio domestic relations attorneys. To schedule a free consultation, please call us at 1-888-774-9265, chat with one of our 24-hour live chat operators or send us a website message.